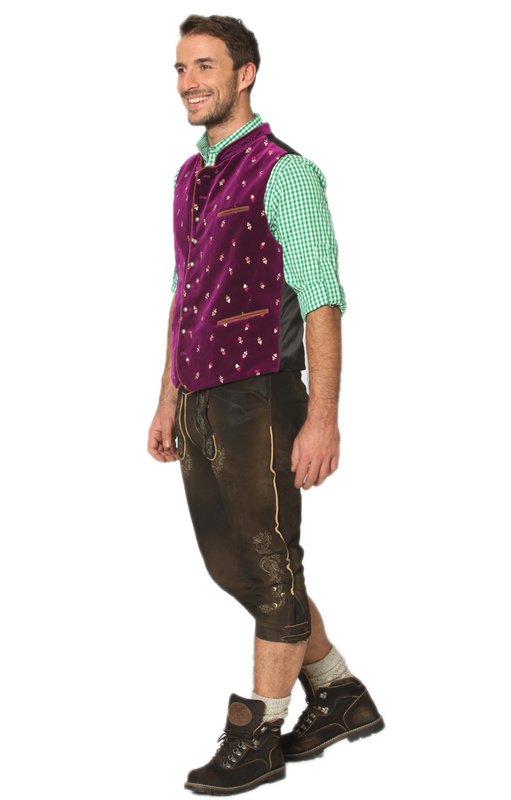 Classic waistcoat Calzado purple. 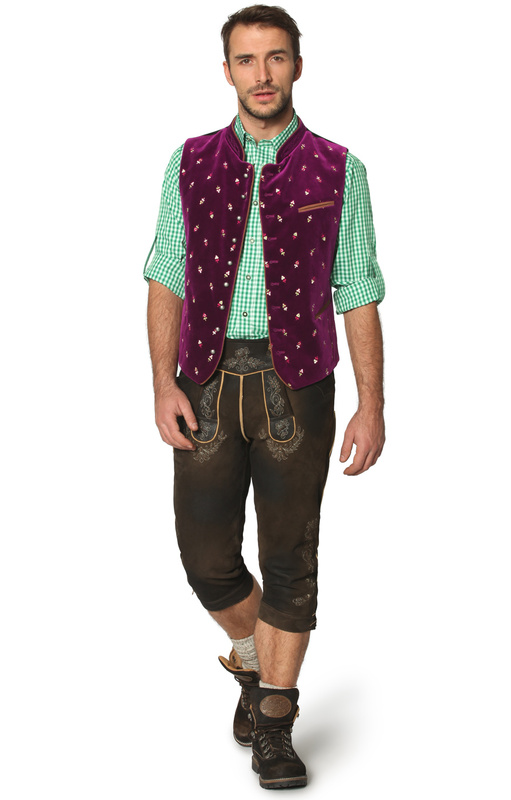 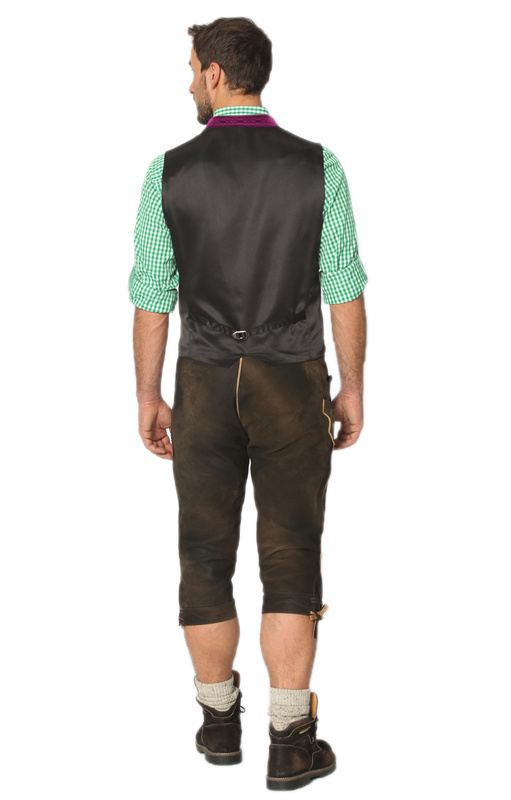 Made in the traditional style of bavarian style, yet with a sophisticated, modern twist. 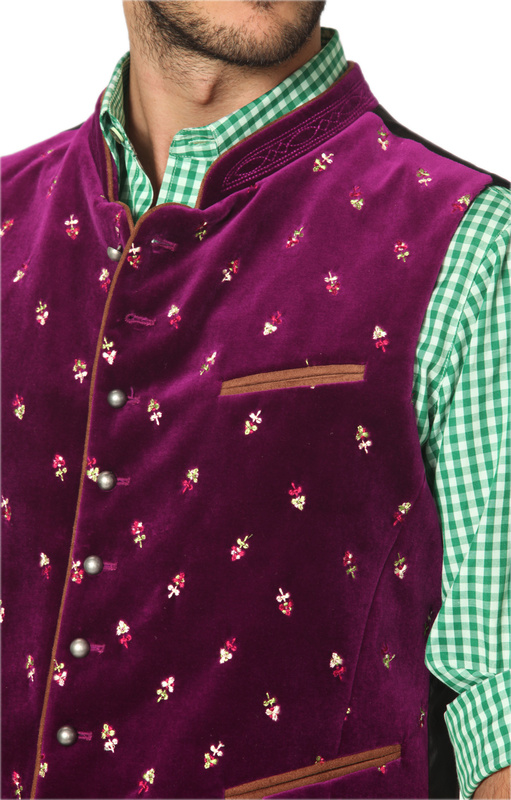 The eyecatching rich berry colour and all-over floral embroidery make this garment sure to attract attention. 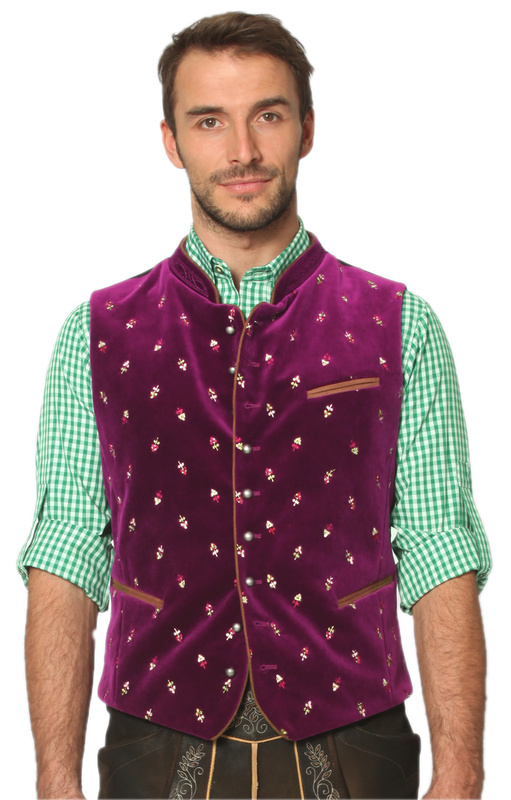 Contrast piping, beaded collar detailing and domed metal buttons all add to the striking effect. 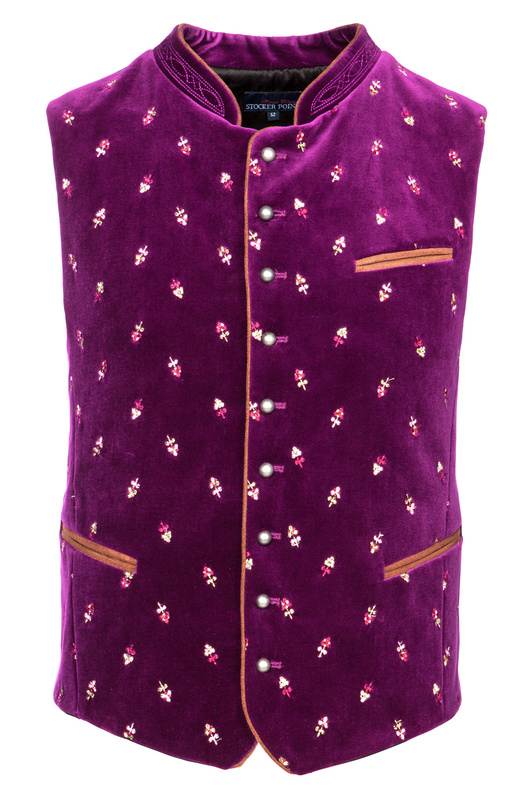 Ideal for the trend-setting gentleman who likes to stand out in a crowd, the waistcoat is made from cotton in velvet optic for a luxurious feel and appearance.